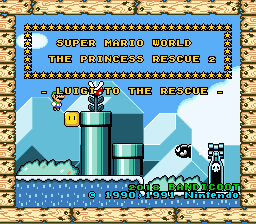 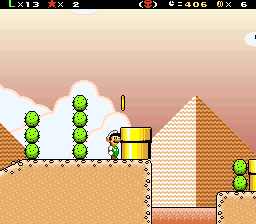 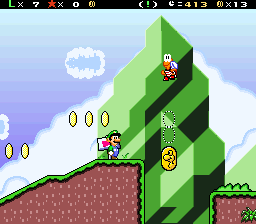 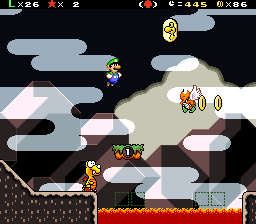 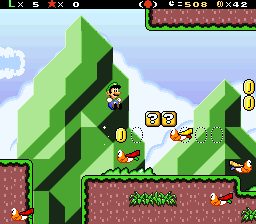 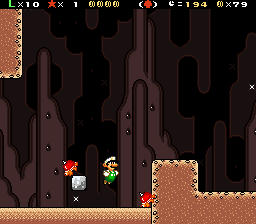 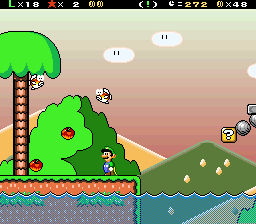 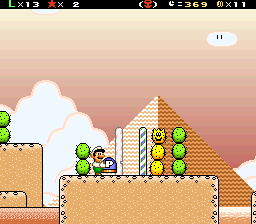 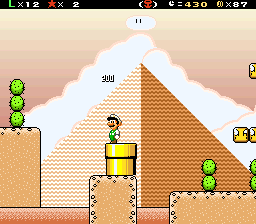 Hello guys, probably all of you know I'm working on the sequel of my last hack, SMW The Princess Rescue 2 features Luigi adventuring through distant lands to Rescue Daisy from Tatanga! 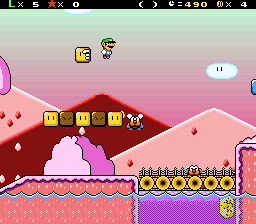 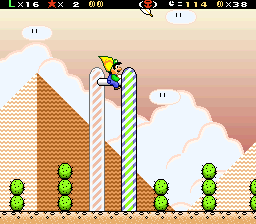 I didn't got the free time to finish fully world 4 in my hack for release during this C3, so I decided to release the demo with the levels done so far. 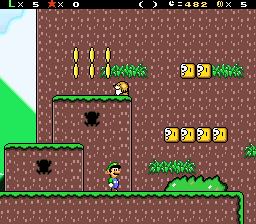 A improved version will be released in the hacks sections soon enough once I finish world 4 and test the game to fix everything. 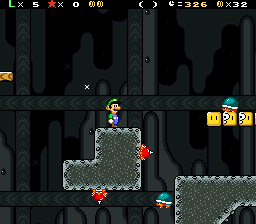 So here we have a demo with 3 worlds completed and half of world 4 completed, with 40 exits to find. 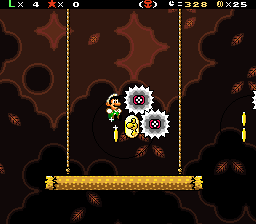 The warp stars are inacessable yet. 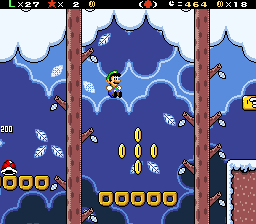 Also, I ported some songs to use in this hack, some of them still need some improvement, but I'm releasing them anyway. 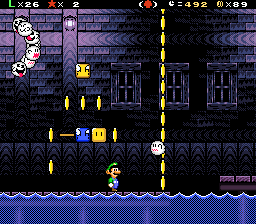 They are not the best ports in the world, but I'm working to make them better in the final game. 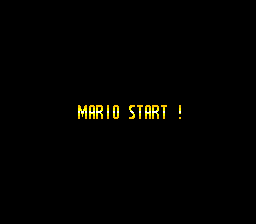 This still says "MARIO START!". 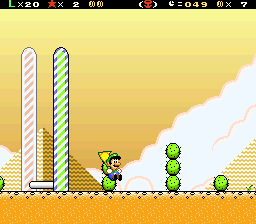 These Spiky Tops got stuck. 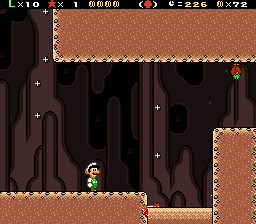 You can get hurt by stepping on quicksand when there are piranha plants. 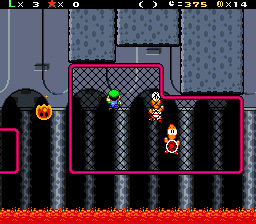 Bad midway point post palette. 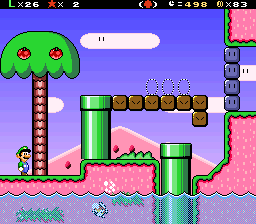 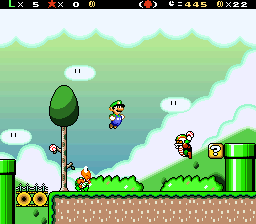 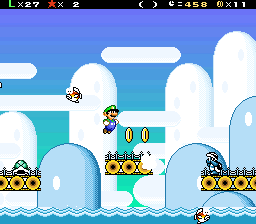 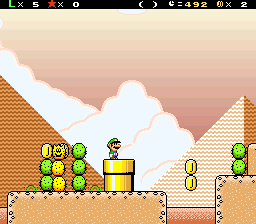 These Pokeys are briefly seen in the wrong position while Luigi is exiting the pipe. 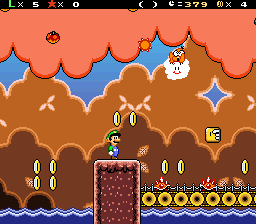 This Podoboo appeared suddenly (out of nowhere). 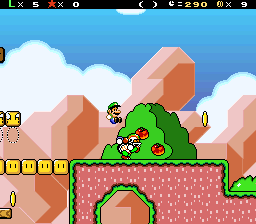 Also the BG doesn't scroll in this part. 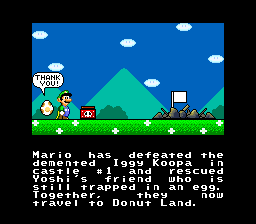 Unedited text from original SMW's Iggy defeated cutscene.